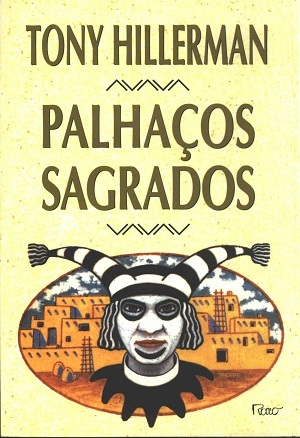 This is the 1999 Brazilian paperback edition of Sacred Clowns, printed in Portuguese. This edition was published by Editora Rocco LTDA in Rio de Janeiro, Brazil. The text was translated into Portuguese by Alyda Sauer. The cover is a reproduction of the HarperCollins first edition dust Jacket, designed by Peter Thorpe.